Here’s how listening to your favorite tunes during a workout can improve your performance, speed, pace, and more. Listening to music during your workout can do more than just make it more fun. 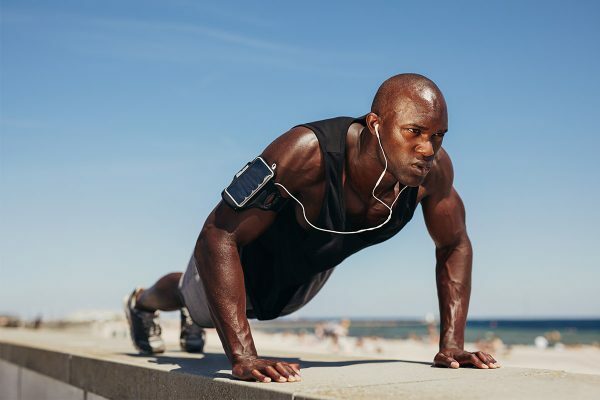 Workout music can motivate you, improve your mood, and even enhance your performance. Thankfully, music can help in more ways than just one. In fact, plenty of research supports the theory that music and exercise make the greatest team ever. Here are a handful of reasons why creating a killer exercise playlist can set you up for fitness success. It can improve your performance. Even when you’re tired and feeling groggy, listening to music can give you that extra boost to work harder and move faster. In fact, one study found that runners who listened to motivating music during a race completed it faster than runners who didn’t listen to music at all. “Put together a playlist that includes songs that motivate you—whether that means the Rocky theme song or [songs by] Beyoncé,” suggests Jenny White, yoga teacher and producer of DAYBREAKER in Denver, Colo.
Endorphins, those feel-good chemicals that your body releases when you exercise, go hand-in-hand with music, which plays a similar role. One study found that listening to music releases dopamine, another neurotransmitter in the brain that’s associated with pleasure. “This musically enhanced mood now allows for an escape from the present struggles and stressors of life, and an onward and upward movement toward something positive—an alive, active, empowered mind and body,” says Sara Davis, a master cycling instructor at CycleBar. It allows for a faster recovery. You probably match your stride to a high-paced song mid-workout. And you can actually bring your heart rate down to a slower song. That’s why the “slow down” music in nearly all fitness classes is, well, slow! “Research has shown that listening to slow, relaxing music after an intense workout brings your heart rate down faster than silence,” says Jennifer Townsend, M.M.T., certified music therapist at the Houston Methodist Center for Performing Arts Medicine. It helps you maintain your pace. “Music and a ‘good beat’ can help you keep pace and also serve as a consistent motivator to press onward, despite challenges during exercise,” explains Townsend. “The rhythm of your workout music indicates to the motor area of your brain when to move, thereby aiding an individual’s desire to ‘keep going.’” This signaling helps our body utilize energy more efficiently, which leads to a steady pace that our body can handle. 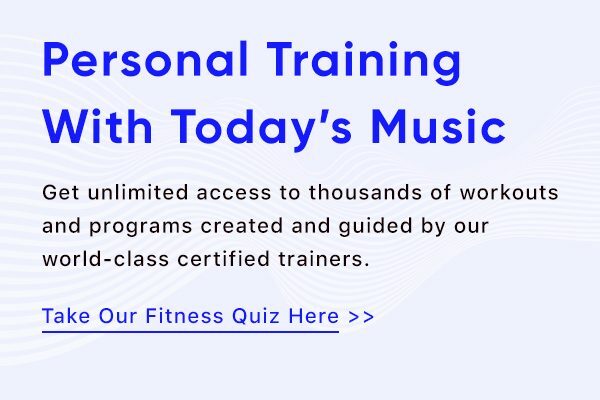 One study, published in the Journal of Sports Medicine and Physical Fitness, discovered that participants who cycled in time to music required seven percent less oxygen to do the same work as cyclists who didn’t. It serves as a welcome distraction. This release occupies our brain with the task of processing positive feelings. As a result, Townsend explains, we’re less focused on pain or discomfort. Just hearing the rhythm of music alone inspires you to start dancing or, at the very least, tapping your feet. This translates to the movement you’re being instructed to do during your workout. This wires the brain to initiate movement in time to reach point A and B consistently, with each stride or arm movement. “Additionally, musical cues and lyrics can play a role in coordinating moves,” she says. Get to know the Scandinavian star. Is Your Headphone Volume Too Loud? Ear doctors sound off on the prevalence of hazardous listening habits. Find out what inspires the singer-songwriter.